Dr. Iqwal Mangat is Assistant Professor of Medicine at the University of Toronto, Toronto, Canada, and is a practicing cardiologist at St. Michael’s Hospital in Toronto. He is currently the Director of the Arrhythmia Program at St. Michael’s Hospital. Dr. Mangat received his MD from the University of Toronto in 1993, and completed his Cardiology training also at the University of Toronto in 1999. He completed training in Adult Cardiac Electrophysiology at the University of California, San Francisco in 2001, and was appointed Lecturer at UCSF from July 2001 to June 2002. 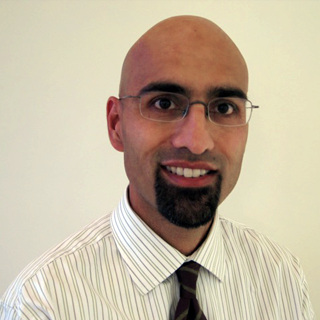 Dr. Mangat returned to Toronto and joined the Division of Cardiology at St. Michael’s Hospital in October 2002. Evaluation and management of patients with syncope, palpitations, risk factors for sudden cardiac death. Arrhythmia management including supraventricular and ventricular tachycardias, inherited arrhythmic syndromes including RV dysplasia, long QT syndrome and Brugada syndrome. Special interest in atrial fibrillation, including novel therapeutic strategies and catheter ablation. Spearheaded the development of an Atrial Fibrillation Centre at St. Michael’s Hospital (July 2009) which is a rapid access centre for management of patients with atrial fibrillation, with a focus on patient education.